“Come for a broken heart and we’ll break your kidneys, too,” would seem to be the motto of the medical profession. A massive study of the records of nearly 2 million patients has proven that blood transfusion causes kidney injury. This is significant because the data study moves it from the realm of the anecdotal (as in, ‘many doctors have noticed what seems to be a connection’) into the realm of hard fact. 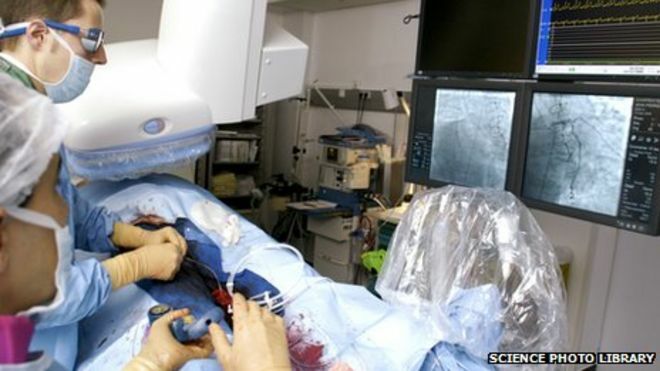 Of the 1,756,864 patients who underwent angioplasty for a heart problem – generally considered a “non-invasive” procedure – 38,626 were given a blood transfusion. The justification was generally low blood count, “anemia” (hemoglobin below 10) or bleeding. Eight patients were given blood whose records showed neither anemia nor bleeding. Of the 38,626 who were given blood, a whopping 35% – 13,520 patients – suffered from AKI, Acute Kidney Injury. Only 8% of the non-transfused patients developed AKI. Fully twice as many patients with AKI (18.4% versus 9.1%) had congestive heart failure within 2 weeks. 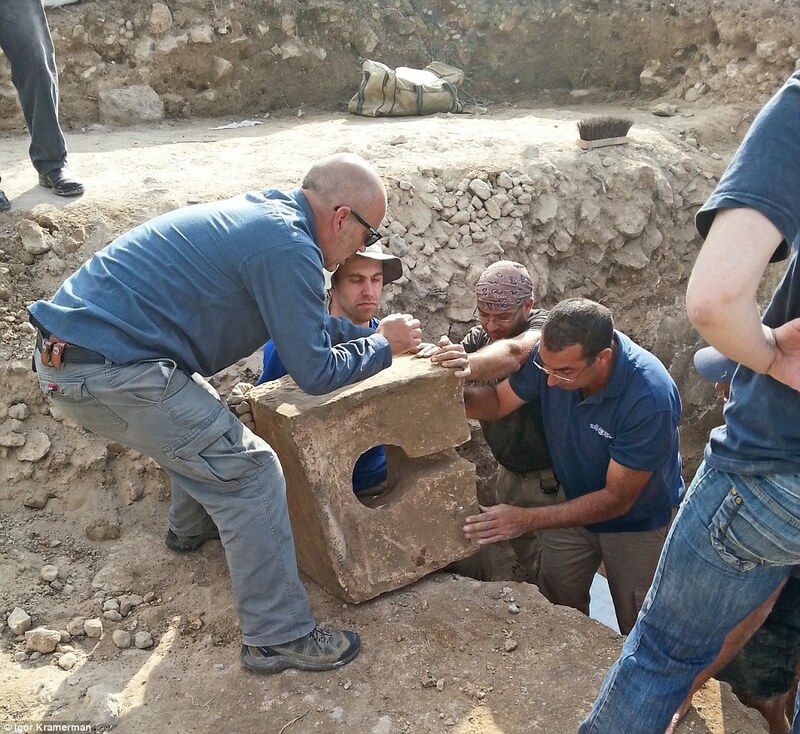 Israeli archeologists have discovered a stone toilet while excavating an ancient city gate at Lachish, they said Sept. 28. The latrine is evidence a biblical king tried to stamp out idol worship there. The scriptural reference above is to Jehu defiling a Baal temple, but the evidence from the current excavation at Lachish shows that King Hezekiah deliberately defiled the eighth century B.C. shrine at the door to the ancient city, the Israel Antiquities Authority said. “A toilet was installed in the holy of holies [“. . .the high places of the gates. . .” 2 Kings 23:8] as the ultimate desecration of that place,” the IAA said in a statement. “A stone fashioned in the shape of a chair with a hole in its center was found in the corner of the room.” The authority said it was the first time an archeological find confirmed the practice of installing a toilet to desecrate a pagan worship site. 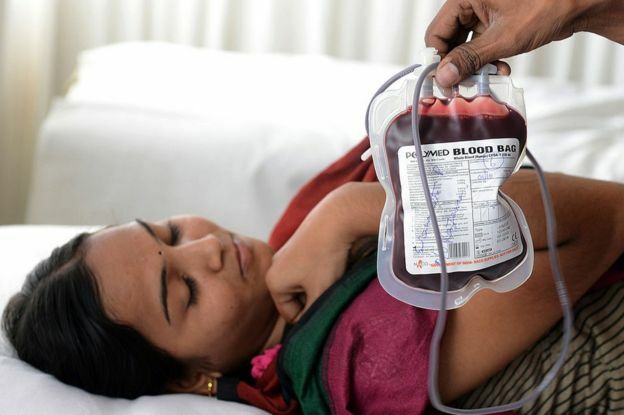 Six more kids in India harmed by blood transfusion. In yet another botched blood transfusion case, six Thalassemia-affected children were taken seriously ill after being transfused with blood at District Headquarters Hospital in Nayagarh district. Similar incidents have been reported from Burla hospital and Balasore District Headquarters Hospital. Two patients at Burla had been given HIV positive and Hepatitis B positive blood, and a three year girl child had been given Hepatitis C blood. Sept 26 (Reuters) - French drug company Sanofi SA said on Monday the U.S. Department of Health and Human Services approved $43.18 million of your tax dollars to fund accelerating the development of a Zika vaccine. Businesses used to say, "Find a need and fill it." Now, the modus operandi of successful businesses seems to be "Create a need and fill it..."
While more and more hospitals are jumping on the bloodless medicine bandwagon, emergency medicine seems to be going the other direction. 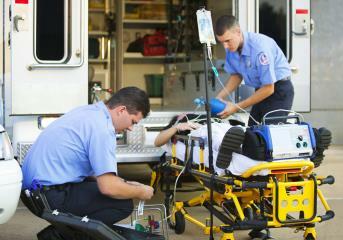 Paramedics in some locations are beginning to carry blood in their ambulances and helicopters. Nearly every medical benefit – or supposed benefit – of transfused blood can now be achieved by some other treatment. So why is blood still being used? I’m not a doctor. But I’ve written a lot about blood, and in the process I’ve learned a lot about blood medicine. The more I learn, the more appalled I am that doctors continue to consider blood transfusion an effective treatment – for anything. This brief column is intended to summarize what I’ve written previously. As we discussed in the column Blood Medicine Part Two, it isn’t enough for the hemoglobin inside your red blood cells to absorb oxygen in the lungs. It also must let go of the oxygen when it gets to where it’s needed. Since oxygen is attracted to iron, releasing it is easier said than done. One ingredient that plays a key role in the release of oxygen from hemoglobin is a blood chemical called DPG. Lowering of DPG makes oxygen ‘stick’ to the hemoglobin – not good. Blood pH must stay between 7.35 and 7.45 - always. A number outside that range will cause your body to stop all other functions until it has corrected its blood pH. Blood pH begins to fall in storage. Donated red blood cells are stored in a solution called ACD – acid-citrate-dextrose. ACD acidifies – lowers the pH – of the blood even more. The lower the pH, the ‘stickier’ the hemoglobin becomes. At 14 days, the pH of stored blood has fallen to 6.9. Since blood pH below 7.35 is considered an urgent problem, why does an emergency room doctor wants to give it to you? Put simply, a transfusion of stored blood is the last thing you want in an emergency. Carries antigens unique to the donor that can kill the recipient. Carries Zika, malaria, hepatitis, HIV and a dozen other diseases. Has a low pH, forcing the patient’s body to try to raise it back above 7.35. Contains a high percentage of dead and dying cells that add to the workload of the patient’s spleen. Contains inflexible red blood cells that cause clots. Contains ammonia at up to 10 times the upper limit of what is considered safe. Contains free hemoglobin that steals oxygen from the patient and adds to the workload of the liver. Is deficient in DPG, lowering the patient’s cellular oxygenation. Is deficient in nitric oxide, lowering capillary dilation, causing reduced cellular oxygenation as well as clots. Adds anti-coagulants to an already bleeding patient. Raises blood pressure, straining and destroying fragile clots the body is trying to form at the wound site, increasing bleeding. Suppresses the patient’s immune system for, at best, days; at worst, permanently. "It will be observed that, with all its similarity of form, the moral of the Jewish parable is in exactly the opposite direction from the teaching of Christ: reward earned by labors, rather than being a gift." Paraphrased from Alfred Edersheim’s The Life and Times of Jesus the Messiah. Does the Court have jurisdiction over religious shunning? In the course of researching news of interest to Bible readers, I often come across stories about someone who is being “shunned” for religious reasons. These stories are occasionally about the Amish, but usually they are about Jehovah’s Witnesses. The gist of that story is this: An Alberta real estate agent, Randy Wall, who was a Jehovah’s Witness, is suing the congregation that disfellowshipped him. His claim is that their shunning him has hurt him financially, as most of his customers prior to the disfellowshipping were Jehovah’s Witnesses. The article says: “The judicial committee found Wall was ‘not sufficiently repentant’ and he was disfellowshipped, a decision that then compelled his wife, children and other Jehovah's Witnesses to shun him. Wall appealed that decision and a panel of three elders was selected and asked to consider ‘the mental and emotional distress he and his family were under’ following his daughter's disfellowship but the committee sided with the original panel's decision.” When a letter to the Canada branch likewise failed to get the decision overturned, Wall decided to sue. Since the judges decided two to one that a trial is appropriate, the congregation has the choice of either: appealing, fighting a legal battle to prove the courts do NOT have jurisdiction over decisions made within a religion; or going ahead with defending themselves at trial. Here are some facts the news story – in fact, that nearly all news stories about shunning, get wrong. No one is shunned by Jehovah’s Witnesses who was not a baptized member. Baptism is not some water sprinkled on one’s head as an infant. It is immersion of a person who is old enough to make decisions for himself/herself. Becoming one of Jehovah’s Witnesses is not like taking out a membership at Costco. When Wall got baptized, he answered “YES” to both those questions. He basically agreed to meet all the requirements of being one of Jehovah’s Witnesses. Wall knew when he said “YES” that drunkenness was not acceptable. Witness beliefs are based strictly on the Bible. In building his business around his fellow Witnesses, Wall chose to violate that directive. What about the claim that, according to the news article, “the family was pressured to evict the girl from the home, leading to ‘much distress’”? The article went on to reference an article back in 1988 – long before this 15-year-old girl was born – that does, indeed, require parents to care for the spiritual and physical needs of their minor children. No doubt Wall felt stress that his 15-year-old daughter was disfellowshipped – any good father would feel like a failure in such circumstances – but that doesn’t excuse lying about being instructed to put her out of the house when that is clearly not the direction given to Jehovah’s Witnesses. Nor does it excuse getting drunk and screaming at his wife. One final, glaring, gaping hole in this and other stories about Jehovah’s Witnesses and shunning: There is no mention that the shunning is fixable. That article then cites 2 Corinthians 2:6, 7: “This rebuke given by the majority is sufficient for such a man; now you should instead kindly forgive and comfort him.” If Wall had simply, humbly, accepted the counsel offered, by now this whole ordeal would have been behind him. UN Secretary General Ban Ki-moon today said he is “appalled” by those who are resorting to religious bigotry for “political gains”, underlining that such “intolerance and opportunism” poisons society. “Violence against people because of their religious identity or beliefs is an assault on the core values of the United Nations. 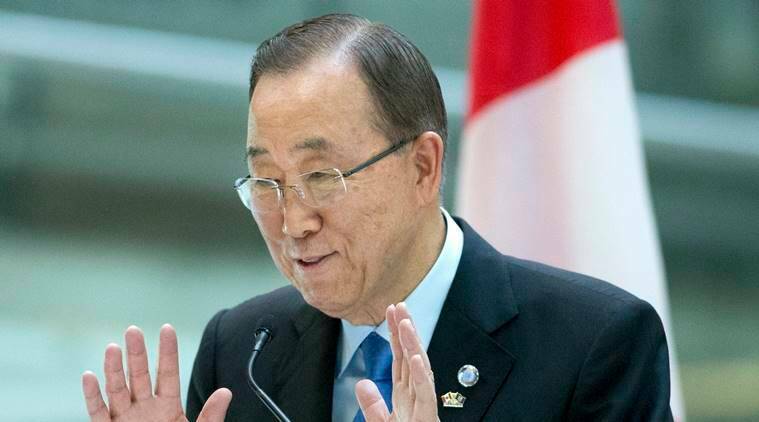 Such bigotry is also one of today’s greatest threats,” Ban said in a video message for the high-level forum on global anti-Semitism at the United Nations on Wednesday. Ban voiced concern that alongside a global rise in anti-Semitism, the world is also seeing many other alarming forms of discrimination – in particular hatred and stereotyping directed at today’s refugees and migrants. “I am appalled by those who fan the flames of religious bigotry for political gain. Such intolerance and opportunism does more than poisoning young minds and hearts, it poisons all of society. Time and again, history has shown that those who attack one minority today will target another tomorrow,” Ban said in his message. Ban’s strong message comes days after UN human rights chief Zeid Ra’ad Al Hussein lashed out at Republican presidential nominee Donald Trump and Dutch politician Geert Wilders, saying the call by such leaders to ban immigrants from Islamic countries puts them in the same league as the terrorist organisation ISIS. “Geert Wilders released his grotesque eleven-point manifesto only days ago, and a month ago he spoke along similar lines in Cleveland, in the United States,” the UN official said. “And yet what Wilders shares in common with Trump, (Hungarian prime minister) Orban, (British politician Nigel) Farage, he also shares with Da’esh (ISIS),” Al Hussein had said. The rights chief had said that the “humiliating racial and religious prejudice” fanned by the likes of Wilders has become “municipal or even national policy” in some countries. Is this the floor Jesus walked on? 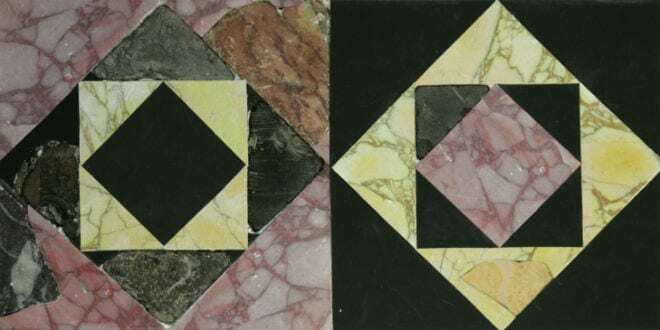 Archaeologists have completed the restoration of ornate floor tiles which experts believe likely decorated the courtyard of the Second Jewish Temple. 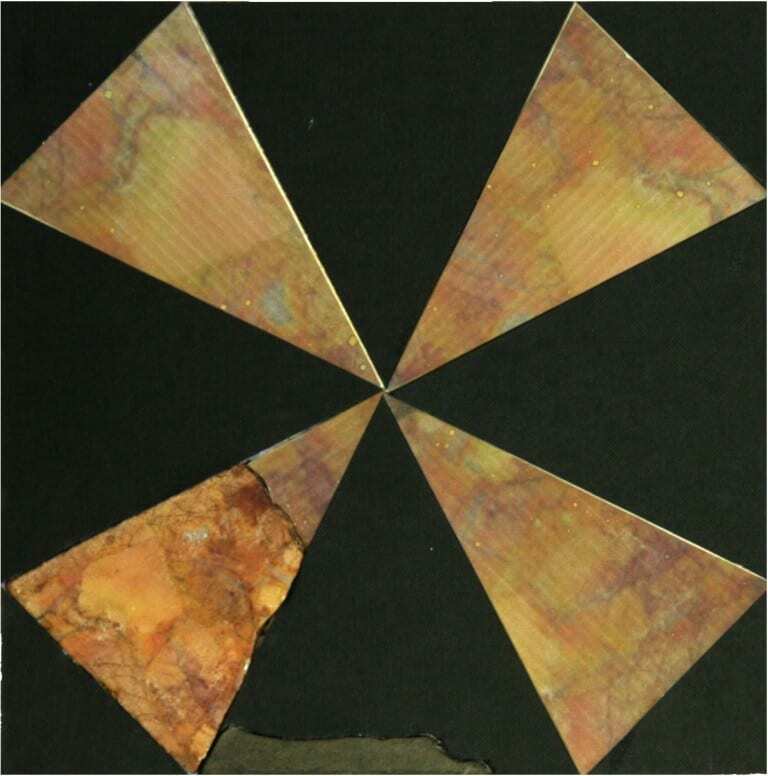 In total, archaeological teams have uncovered approximately 600 colored stone floor tile segments, with more than 100 of them positively dated to the Herodian Second Temple period. The restored tiles came from the Temple Mount Sifting Project, salvaging artifacts from a Muslim construction site at the Temple complex. The project provides visible and incontrovertible proof, backed up by ancient texts and historical context, of a Jewish Temple on the Mount. Why would proof be needed? Denial of a Jewish connection to the Temple Mount began at the 2000 Camp David Summit, when the Palestinian Authority Chairman Yasser Arafat insisted - with no proof - that “the Temple” existed near Shechem (Nablus), and not on the Temple Mount in Jerusalem. The claim has since been taken up in the international narrative as UNESCO passed an initiative claiming the Temple Mount as an exclusively Muslim holy site. This claim went mainstream last October when the New York Times published an article questioning whether the two Jewish Temples ever existed at all. 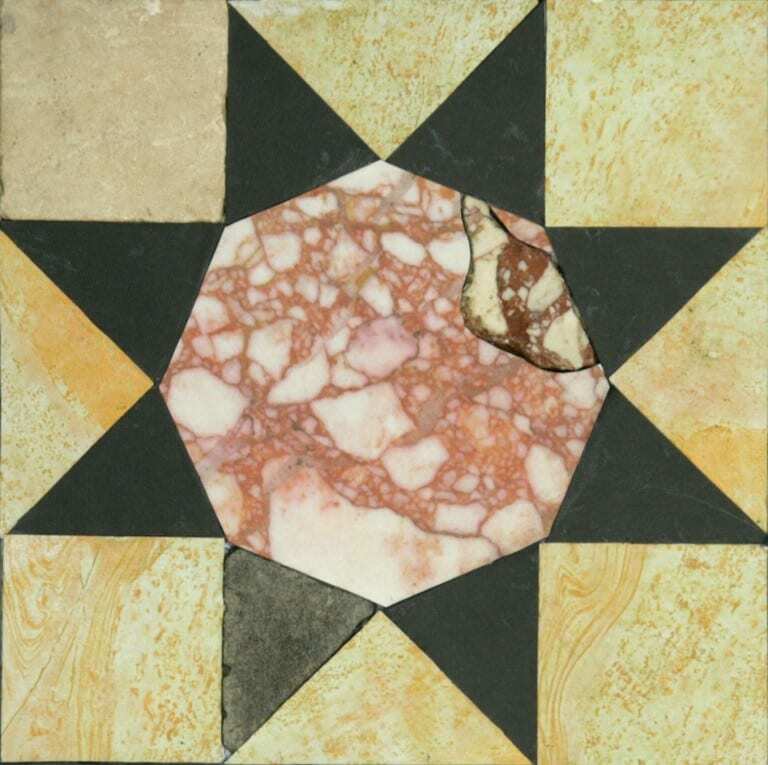 The restoration is proof of a theory that large expanses of the Temple Mount during the Second Temple were covered with a special type of ornate flooring called opus sectile, Latin for “cut work.” The idea was first put forward in 2007 by archaeologist Assaf Avraham, director of the Jerusalem Walls National Park. The new discovery confirms it. The tile design is consistent with floors found in contemporary works built by Herod. Similar flooring has been found at Herod’s palaces in Masada, Herodium, and Jericho, among others. A key characteristic of the Herodian tiles is their size, which corresponds to the Roman foot (11.6 inches). Since the modern archaeological age began, the Temple Mount has been off-limits, as it has been the site of the Muslim Dome of the Rock for over a thousand years. However, Muslim construction projects occurred during the years 1999-2000 that involved large scale earthworks using heavy machinery; the purpose being to create an entrance to an area Jews refer to as Solomon’s Stables (an ancient subterranean structure) which they were converting into a new mosque. In addition, in an open area on the eastern side of the Temple Mount, ground level was lowered with bulldozers in order to lay new pavement slabs. About 400 truckloads of rubble were removed and dumped in various locations, mainly in the nearby Kidron Valley. The earth-moving was done without building permits, and without archaeological supervision. While mainstream archaeologists were enraged at the destruction Zachi Dvira, an archaeology student, came up with the idea of collecting and sifting through all the rubble to see what was there. Despite the lack of “context,” (being able to assign a time period to an artifact based on the strata in which it was found) the thinking was that ‘something is better than nothing.’ The Sifting Project began in the Tzurim Valley National Park in 2004. Over 5,000 coins, including coins minted by the Jews during the revolt against Rome. A small bronze harp that looks so much like the City of David logo that Israel now uses it in place of their “plain” logo in some of their publicity. A pew poll released this week shows Americans aren’t sanguine about being given synthetic blood. 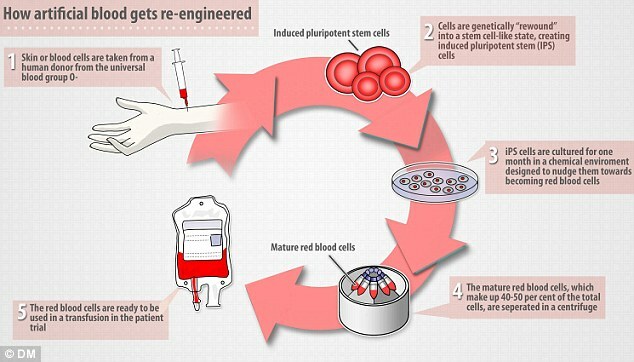 Scientists in the UK have been working on artificial blood grown in lab from stem cells. The work is progressing on schedule, and human trials are set to begin in 2017. But the Pew Center’s survey found that Americans are more worried than excited or enthusiastic about the potential for healthy people to use synthetic blood (63% vs. 36%). And a majority of Americans – roughly six-in-ten – said they would not want synthetic blood substitutes. What was the Post talking about? 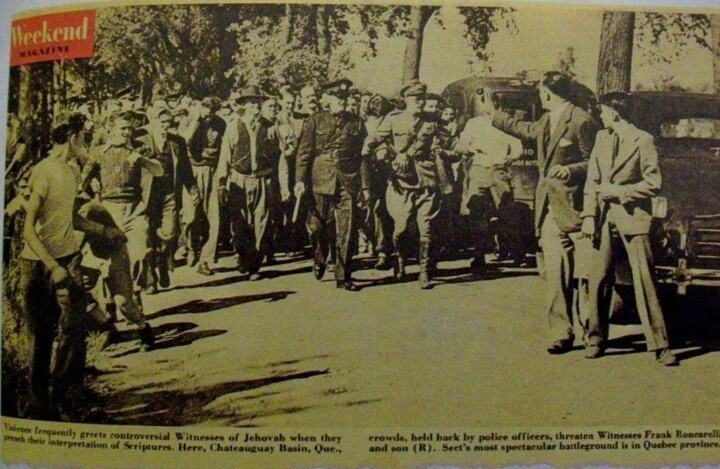 On the night of June 14, 1940, 50 rioters in Rockville, Maryland, invaded a Kingdom Hall directly across the street from the Montgomery County Police Headquarters. The criminals destroyed chairs, typewriters and records and vandalized the building while two Montgomery County police officers looked on. As the month wore on, attacks continued across the country. An attack in Richwood, West Virginia, was extraordinarily brutal. Witnesses Stanley Jones and C. A. Cecil moved to Richwood on June 28 to preach. They were stopped on Main Street by state trooper Bernard McLaughlin, who took them into custody at the state police barracks. Members of the American Legion post soon arrived, including a Nicholas County sheriff’s deputy, Martin Catlette. Though the Witnesses managed to talk their way out of the detention with little more than insults, the trouble wasn’t over. Joined by other witnesses they returned to Richwood, only to discover that the room they’d rented the previous day had been ransacked. They left to report the incident to the mayor, hoping to explain their work and debunk the rumor that they were disseminating “communistic literature.” Before they found him, however, deputy Catlette found them. The group of Witnesses, all gathered at the mayor’s office, tried to maintain that the Supreme Court had specifically upheld their right to worship by distributing literature in public. When one of the Witnesses tried to quote a verse from the Bible, Catlette slapped him and ordered him to shut up. The deputy then removed his badge, saying, “What is done from here on will not be done in the name of the law.” He forced the Witnesses to surrender their possessions. A whiskey bottle was passed around among the Legionnaires. Someone brought two guns; another brought a rope. The Witnesses refused to salute the flag. The crowd grew to more than five hundred. Another Legionnaire, Lee Reese, addressed the crowd. “We’re carrying on this demonstration to show the people of Richwood that if anyone is in sympathy with the work [the Witnesses] are doing, there’s room for them on the end of this rope, and they will go out of town with them.” A woman protested that they deserved a fair trial. Reese responded by threatening to add her to the rope. The mob marched to the city limits, where the vigilantes had taken the victims’ cars. The vehicles had been vandalized with swastikas and epithets such as “Hitler’s spies” and doused in castor oil. The Witnesses lodged a complaint with the Justice Department. The United States Justice Department had established a Civil Rights Section in February, 1939. However, the Attorney General at the time, Frank Murphy, pointed out soon after that “the authority of the Federal Government in this field is somewhat limited by the fact that many of the Constitutional guarantees are guarantees against abuses by the government itself, not infringements by individuals.” Furthermore, the Civil Rights Section’s meager resources proved to be as debilitating as its narrow mandate. The department consisted of fewer than 10 attorneys and a handful of clerks. Hundreds of complaints were brought to the CRS by Jehovah’s Witnesses during the 1940s, but in nearly every case the unit concluded that it either lacked jurisdiction, or that the victims’ unpopularity would make it impossible to get an indictment or a conviction. The Richwood case was no different. The U.S. attorney for Huntington, West Virginia, Lemuel Via, had no desire to institute criminal proceedings against Martin Catlette and the other assailants, believing it was an unwinnable case. After nearly two years of wrangling among the FBI, Via, and high authorities in the Department of Justice, the Civil Rights Section’s insistence on prosecution finally carried the day, and U.S. Attorney Via was persuaded to bring the Richwood case before a federal grand jury. Via insisted, however, that he be back-stopped by an attorney from Washington. Perhaps he was leery of appearing to side with the Witnesses. The grand jury largely ignored most of the evidence and refused to return an indictment. Convening just a few months after Pearl Harbor, the jurors were unsympathetic and openly suspicious of the victims. But he CRS wasn't ready to quit. They convinced Via to perform an end run around the grand jury. Initially, charges had been brought under both Section 51 and 52 of Title 18. Both outlaw conspiring to “injure, oppress, threaten, or intimidate any citizen in the free exercise or enjoyment” of rights guaranteed by the Constitution. However, Section 52 refers to doing so “under color of law.” The Civil Rights Sections' lawyers determined that if the federal government abandoned all the section 51 charges – which meant dropping the charges against the Richwood citizens who were not employed by the sheriff’s department – they wouldn’t need an indictment. They could go straight to trial with charges against deputy Martin Catlette and Chief of Police Bert Stewart. The ploy worked. Tried before Judge Ben Moore in a federal court in Charleston, West Virginia, Catlette and Stewart were convicted under Section 52. Fines were imposed on both men - $1,000 for Catlette, $250 for Stewart. Catlette tried to claim his action of removing his badge meant he had not acted “under color of law” but the Fourth Circuit Court of Appeals disagreed, and Catlette was sentenced to 12 months at the federal prison camp in Mill Point, West Virginia. For a man so bitterly opposed to the Witnesses doctrines, the punishment must have seemed especially harsh. The majority of the inmate population at Mill Point prison camp was composed of Jehovah’s Witnesses, imprisoned for their conscientious objection to military service. More than 3 million honeybees were killed in South Carolina after the aerial spraying of an insecticide targeting mosquitoes. "On Saturday, it was total energy, millions of bees foraging, pollinating, making honey for winter," said Juanita Stanley, beekeeper and co-owner of Flowertown Bee Farm and Supply in Summerville, S.C.
"Today, it stinks of death. Maggots and other insects are feeding on the honey and the baby bees who are still in the hives. It's heartbreaking." Stanley said she now needs to destroy the hives, the honey and her equipment following the insecticide contamination. Dorchester County used the Trumpet product which contains the pesticide Naled, recommended by the Environmental Protection Agency and the Centers for Disease Control and Prevention for killing the Zika-carrying mosquitoes. Dorchester County Administrator Jason Ward said the county followed the manufacturer's recommendation on minimizing hazard to bees. The recommendation, which is also the state's policy, says the product should not be applied more than two hours after sunrise or two hours before sunset -- when bees are usually most active. Stanley said she was notified about trucks spraying the pesticide but not about aerial spraying. She said she "would have been screaming and pleading on their doorstep if they had" told her about aerial spraying, urging them to "do it at night when bees are done foraging."